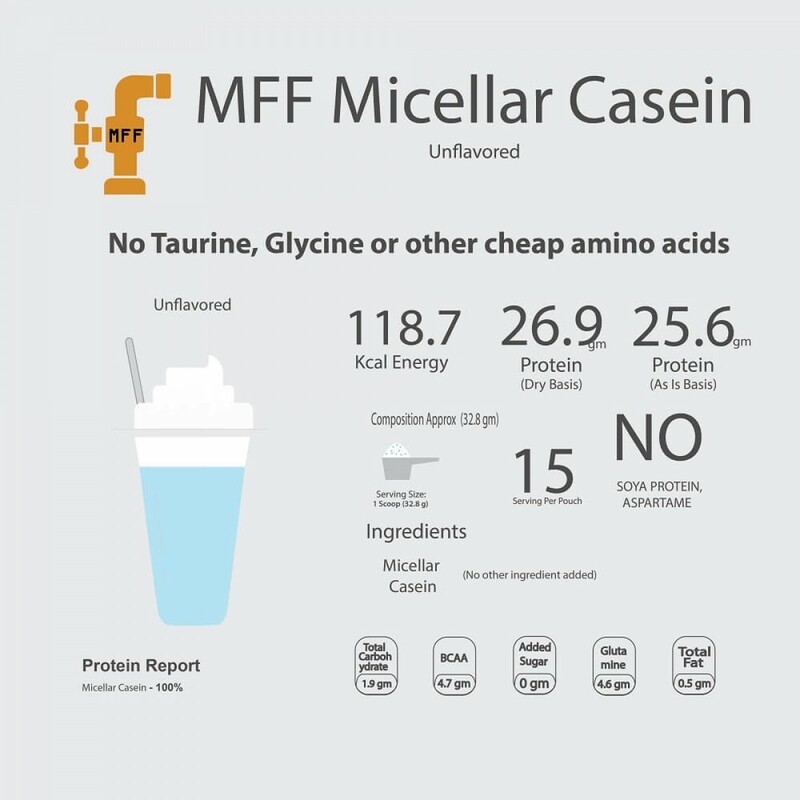 MFF Micellar Casein protein is pure fresh milk casein protein. It is very slow to digest and provides sustained release of amino acids helping in continuous repair of muscles. Its anti-catabolic property reduces the muscle breakdown and helps in better muscle repair. MFF Micellar Casein Protein helps to increase the overall muscle mass of the body. It is ideal for the pre bed time, in between meals or even for the morning breakfast. --> Helps to make muscle stronger and increase overall muscle mass. --> Upto 4.7gm BCAA, 4.6 Glutamine in every serving of Unflavored variant. --> Contains Anti catabolic property minimizing the breakdown and increasing repair of hard-earned muscles.--> Ideal as Night Protein (Pre Bed). Other best timings include during morning breakfast, between the big meals, during meal gaps or anytime when slow release of protein maybe required. --> 0 gm added sugar. --> No cheap thickeners or fillers. --> No artificial color, No Skim Milk Powder No Dairy Whiteners, No Soy Protein, No Color, No Sugar, No Artificial Flavor or Preservatives added. Protein should not always be digested fast for every goal. When we workout then our muscle tissues break which if not repaired could lead to muscle weakness. Not completing the protein required diet as per the goal could also lead to muscle weakness. MyFitFuel provides the best Micellar casein protein powder which has natural properties of the sustained slow release of amino acids. Sustained release property brings the continuous supply of amino acids for 6-8 hours which continuously repair the broken muscle tissues and leads to better muscle recovery. Continuous supply not only helps muscle get stronger but also helps in increasing metabolism as our stomach is in continuous process of digesting the slow release protein. It helps your muscles to get prepared for next best workout. Micellar protein has the complete source of naturally occurring amino acids which make it as one of the best slow release protein. Complete amino acids protein means when all the essential and non-essential amino acids are naturally present to make it a complete protein. When all required amino acids are present then it helps to repair the muscle in the much better way as every amino acid plays an important role in repair and growth of muscles. --> Individuals into bodybuilding looking for the muscle repair. --> Individual looking to complete their daily protein diet. 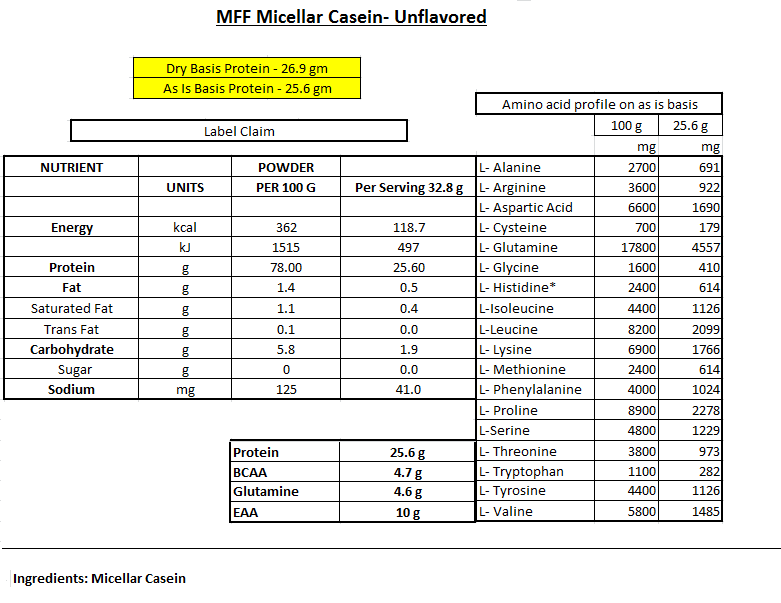 MFF Micellar Casein Protein Powder helps to complete the overall protein intake. When taken during night time it helps in repairing and recovering broken muscle tissues when the stomach remain empty until morning while you sleep. At MyFitFuel educating our customers is always our first priority. 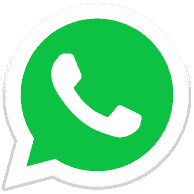 Like in Sports & Fitness Nutrition market in India we were the first one to bring 100% Transparency and in same way for our customers we are the first to bring better education when it comes to difference between Protein calculation on “Dry basis” vs “As in Basis”. What makes MyFitFuel Micellar Casein Protein Powder Best in India? a). Quality- That’s always our biggest priority. We never ever compromise in quality of our products and our products quality is what we bet on. b). Consistency - Consistency in the quality is very important for us every single time. We take every measure from beginning to end to provide you the same nutrition quality. 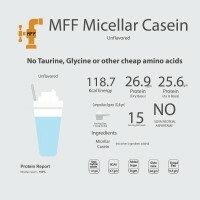 MFF Micellar Casein ingredients are consistently tested to give you the same wonderful results every time. c). Transparency- We believe it’s your right to learn about the products actual benefits and its worth before you buy best micellar casein protein powder online in India. 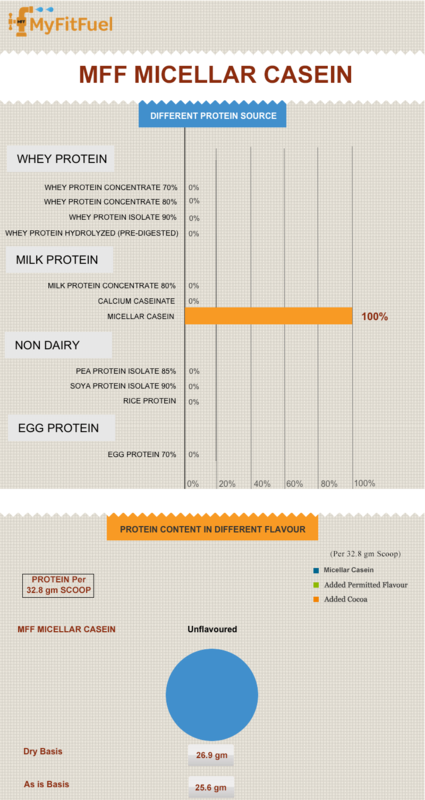 Many companies never disclose right percentage of protein used in the product, helping them to hide the actual worth and benefits of the product. We provide complete information in our “Protein Insight” by telling you which protein we use before you buy micellar casein protein from us. Our transparency also helps you to always know the price you are paying us is it the right micellar casein price. d). Certificate of Analysis- To bring better transparency we back our protein product by Certificate of analysis of the kind of Micellar Casein is used to make our product..
Pour 300-350ml of water in good blender like MFF™ Blender and add 1 scoop of MFF Micellar Casein™. Shake it for 15-20 seconds and consume immediately. Use less liquid for stronger and thicker tasting taste. To promote lean muscles, expert suggest 1g of protein per pound body weight everyday (2.2g per kg of body weight everyday) consumed during different time of the day. Some train in morning and some in evening but we recommend following important serving times of MFFMicellar Casein. --> Any other time during the day or in between meals as snaks or when you require additional protein intake. 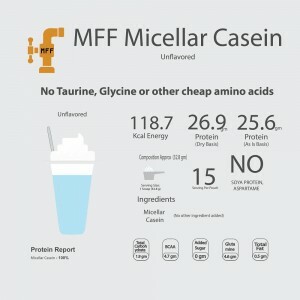 Benefits of taking with Water- Taking MFF Micellar Casein™ with water helps you to get better Lean Muscles and reduces the overall calorie intake from your protein shake. Protein shake in water is also recommended to any individual following the weight loss programme with restricted calories intake. Benefits of taking with toned or double toned milk- Adding milk with micellar protein powder helps to make the shake creamier and thicker. But 250 ml of toned milk will also add almost 150 extra calories in every shake. So, if you are looking to bulk up or to increase weight then taking protein shake with milk will always be recommended. Adding milk might make the casein very thick which will take longer to mix. If using with milk we would recommend you to blend in mixer rather than shaker. best nigt time protein .No artificial color, No Skim Milk Powder No Dairy Whiteners, No Soy Protein, No Color, No Sugar, No Artificial Flavor or Preservatives added.